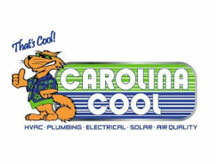 Carolina Cool, Inc. was originally formed in 1985 as a commercial, residential and industrial plumbing and air conditioning contracting firm. Today they are one of the region’s only “Full Service Mechanical Contractors,” providing 24-hour Heating, Air Conditioning, Refrigeration, Plumbing, Electrical, Solar, and Air Quality Service and Preventative Maintenance. Carolina Cool’s ransomware attack ended up better than many others that have been reported. Though they were able to restore most of the data from system backups, some data was lost, including a share drive and one computer’s entire contents. That was the turning point that prompted Kary to find a solution that could stop ransomware. After noticing the PC Matic commercials, that specifically mentioned protection against ransomware, the team at Carolina Cool decided to give it a shot. Since installing PC Matic Pro, Carolina Cool has been virus-free. In addition to being protected from malware attacks, Kary noted an all-around improvement in computer performance, since PC Matic performs routine maintenance, such as removing junk files and keeping drivers up-to-date.